Description: German-built Railbus. Introduced in 1958, a total of five class members operated rural services in East Anglia and occasionally the midlands until withdrawal in 1967. Four of the class are now preserved. 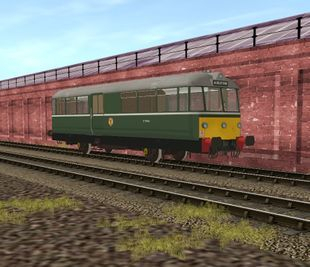 Description: German-built Railbus. Introduced in 1958, a total of five class members operated rural services in East Anglia and occasionally the midlands until withdrawal in 1967. Four of the class are now preserved. 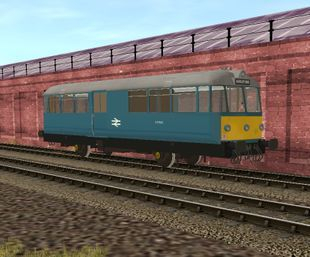 This model is in the experimental XP64 BR Blue livery which in reality these units never carried. 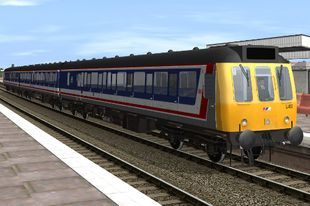 Description: 121021 'St Ives' in fictional FGW livery. 121021 'St Ives' normally runs as a pair with 121030 'St Erth' to operate the heritage service on the St Ives Branch line in cornwall during the summer. Occasionally these units are also used on driver training. 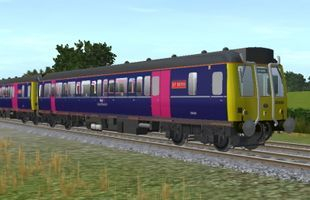 Description: 121030 'St Erth' in fictional FGW livery. 121030 'St Erth' normally runs as a pair with 121021 'St Ives' to operate the heritage service on the St Ives Branch line in cornwall during the summer. 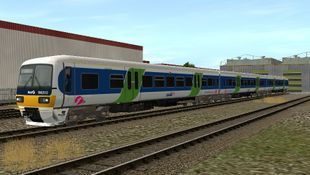 Description: The iconic Network Southeast Livery was applied to the fleet of Class 121 operating services out of Paddington and in the Thames Valley around 1986 - 87 and was carried until withdrawal in the early 90s. A few soldered on until 2000 operating services for Silverlink. My thanks to tmz06003 for granting permission to reskin. 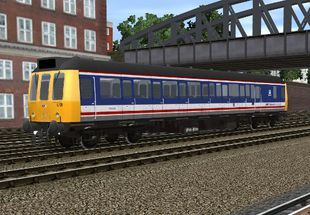 Description: The iconic Network Southeast Livery was applied to the fleet of Class 117s operating services out of Paddington and in the Thames Valley around 1986 - 87 and was carried until withdrawal in the early 90s. A few soldered on until 2000 operating services for Silverlink. My thanks to tmz06003 for granting permission to reskin. 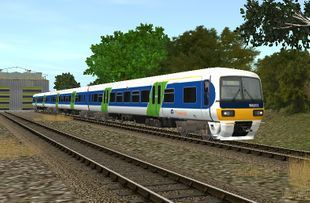 Description: The Thames Trains Livery was applied to the Thames Trains fleet of 165s and 166s from 2000-02 along with a minor refurbishment. This version of the livery was carried until 1st April 2004 when the First Group took over the franchise. 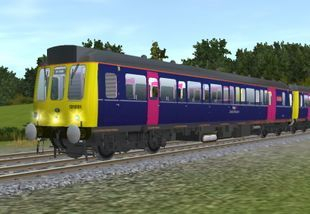 Description: Class 166 in First Great Western Link livery. This livery was an adaptation of the original Thames Trains livery, when Firstgroup took over in April 2004. 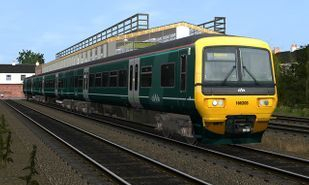 Description: Class 166 in First Great Westerns GWR colour scheme. This livery was introduced in September 2015 as part of a re-branding program by First after gaining an extension to run the Great Western Franchise until 2019.